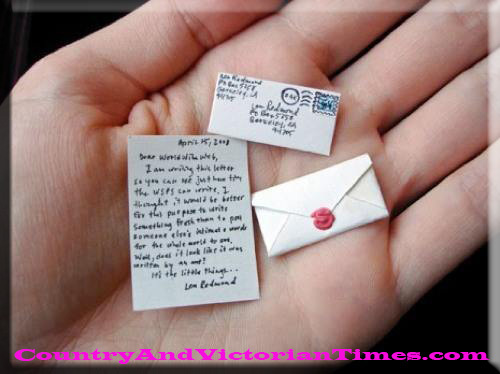 Make a very tiny letter from the tooth fairy and give your child an extra surprise when they loose their tooth. Cut a small square a write a letter from the tooth fairy. Fold in thirds like you usually do for a letter. Base the size of that to make your envelope. Trace a line around your envelope onto a piece of paper. Make a triangle going away from each side of your envelope. Cut and fold on lines. Seal with a drop of wax. What a little keepsake for your child to have when they grow up – after the child receives the letter attach the letter/envelope to a small baggie with the tooth. This entry was posted in Parenting & Family, Tid-Bits & Funnies and tagged child, Dental, fairy, from, gift, keepsake, letter, tooth, Tooth fairy. Bookmark the permalink. Something that brings back a lot of memories since from when I was child. Whenever I lost a tooth, well I’d actually pull them out my self, but I’ll let you in on my little creep story on that later, perhaps it’s too grotesque for your delicate stomach to think a little girl would do that, but whenever I’d lose a tooth, I would always find these tiny, petite letters underneath my pillow when I had just lost a tooth or two. It was so neat to this because I thought the tooth fairy was actually writing to me. One time I remember leaving the tooth fairy a note with one of my molars that I had lost; I was so excited, I couldn’t wait till I received another letter from the tooth fairy. It was so cool being able to open a little envelope that had a folded dollar and the smallest letter inside of it. But as I grew older, though I still kept the spirit of the tooth fairy alive (still do) I knew my parents had their fair share in the part of being the tooth fairy, but I never mentioned it any of my siblings that way they could enjoy the imaginative experience from it. So, if you know someone (a little kid be it you child/grandchild/niece or nephew) who has lost a tooth, now that you’ve seen this.. you already know what to do! Such a cool story – and no I am not weirded out. I have some “interesting” stories about my childhood as well. It seems this has brought back some good memories from your childhood as it did mine. Im glad you liked it!